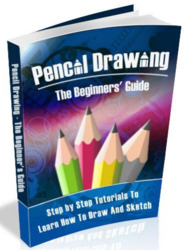 The head can be compared to the geometric shape of an ovoid and this, at the beginning at least, makes drawing it simpler, as far as proportions, as well as light and shadows are concerned. 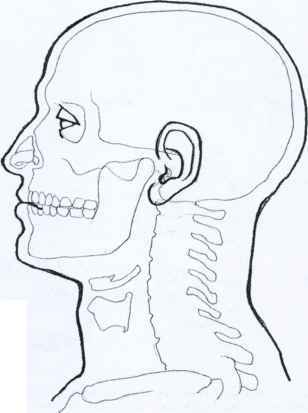 Notice how the two ovoids which represent the face and the skull can be superimposed. However, the roughly round shape of the head can also be divided into flat areas. As a whole, these 'surface planes', are useful for concisely shaping areas of light and shadow. Try drawing surface planes on to photographs which show heads in a variety of positions, and learn to recognize diagrams similar to the ones above. 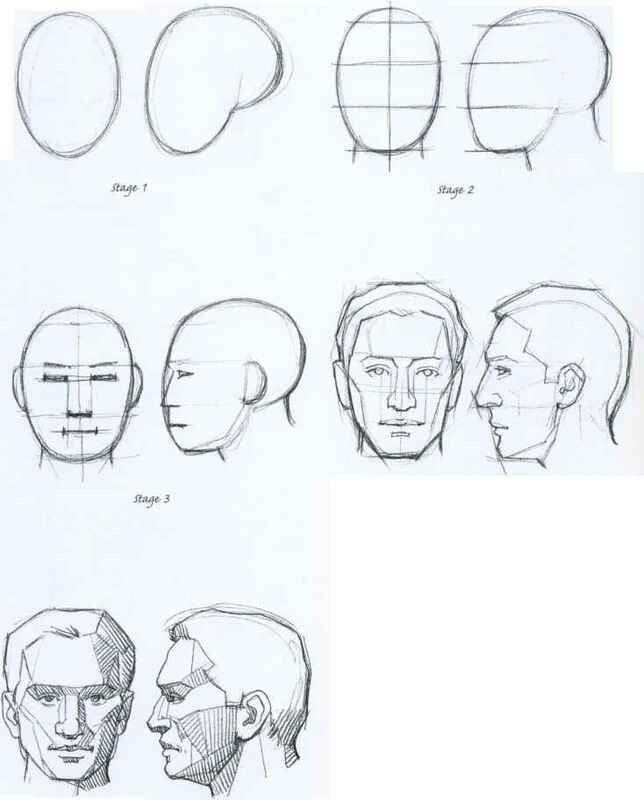 When you first start drawing the head, which is a very complex shape, you are likely to encounter great difficulties and won't know where to start from. A traditional and scholastic, but very useful, approach is the one mentioned on these pages and which is developed further in chapter 12 (see page 32). Bear in mind that in portraiture it is essential, first of all, to capture the overall individual characteristics of the model's head and then study the characteristics of the details and how they relate to one another. Indicate the proportions by way of four horizontal parallel lines more or less equidistant to suggest the three parts in which the face can be divided. Carefully work out the position of the eyes, nose, mouth and ears by measuring their relative distances. In these diagrams, limited to the front and side projections of a man's head, I have illustrated the various stages of construction. Outline on the page the area you expect the head to occupy: draw a simple oval shape. How to measure eyes for sketching? Why start with the eyes when drawing face? 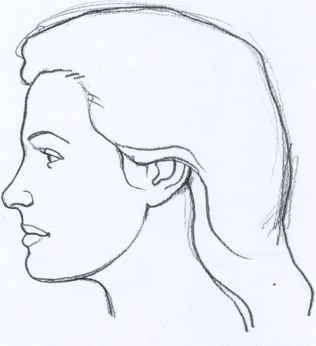 How to draw sketches in proportion of three quarter faces? How to draw sketches of side faces in proportion? How to draw sketch nose step by step?